NOTICE TO USER: PLEASE READ THIS CONTRACT CAREFULLY. BY USING ALL OR ANY PORTION OF THE API YOU ACCEPT ALL THE TERMS AND CONDITIONS OF THIS AGREEMENT, INCLUDING, IN PARTICULAR THE LIMITATIONS ON: USE CONTAINED IN SECTION 2; WARRANTY IN SECTION 7; AND LIABILITY IN SECTION 8. YOU AGREE THAT THIS AGREEMENT IS ENFORCEABLE LIKE ANY WRITTEN NEGOTIATED AGREEMENT SIGNED BY YOU. IF YOU DO NOT AGREE, DO NOT USE THIS SOFTWARE. IF YOU ACQUIRED THE SOFTWARE ON TANGIBLE MEDIA (e.g. CD) WITHOUT AN OPPORTUNITY TO REVIEW THIS LICENSE AND YOU DO NOT ACCEPT THIS AGREEMENT YOU MAY NOT USE THE API. In this License Agreement, “API” means the Limo Anywhere Application Programming Interface specification, Ancillary API Information, any documentation in on-line format, and related items. “Limo Anywhere Software” means the Limo Anywhere application programs and any updates thereof, including the Limo Anywhere reservation management, dispatch, customer and account management, billing and driver payroll, and accounting and reporting software. “Ancillary API Information” means the header files, the Plug-In APIs as defined in the header files and demonstrated in plug-in example code, and related information. 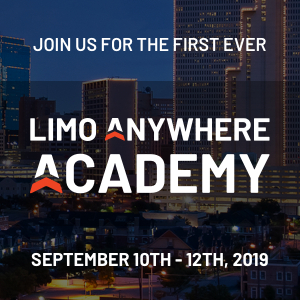 “Limo Anywhere” means Limo Anywhere, LLC, a Delaware limited liability company, 1341 W Mockingbird Ln Suite 750W, Dallas, TX 75247. “Developer Programs” means Your application programs designed to function with Limo Anywhere Software products; and “Developer,” “You,” and “Your” refer to any person or entity accessing or using this API. “Customer” shall mean any entity that purchases and utilizes the Limo Anywhere Software in the operations of its business. You agree that you shall, for all Developer Programs already created and upon development of any new Developer Programs: (i) provide true, accurate, current and complete information about yourself, (ii) identify all traffic routed to the Limo Anywhere servers through You or your Developer Programs, (iii) identify all Developer Programs available for download on any platform. (iv) limit your use of the API to developing Developer Programs to be used solely by Customers of Limo Anywhere and only as a means for such Customers to access Limo Anywhere Software, and (v) not store, share, or sell, whether in anonymized aggregate form or otherwise, any data collected from Limo Anywhere Software using any Developer Programs. You may not (i) include the Limo Anywhere Software, the documentation, or Ancillary API Information in their entirety in Developer Programs under this Agreement or (ii) sell, sublicense, rent, loan, or lease the Limo Anywhere Software, the documentation, or API Information to any third party; provided, that you may develop Developer Programs which are custom application solutions for existing Limo Anywhere Customers as set forth in this Section. You also agree not to reverse engineer, decompile, disassemble or otherwise attempt to discover the source code of the Limo Anywhere Software or API except to the extent you may be expressly permitted to decompile under applicable law, it is essential to do so in order to achieve operability of the Limo Anywhere Software with another software program, and you have first requested Limo Anywhere to provide the information necessary to achieve such operability and Limo Anywhere has not made such information available. Limo Anywhere has the right to impose reasonable conditions and to request a reasonable fee before providing such information. Any information supplied by Limo Anywhere or obtained by you, as permitted hereunder, may only be used by you for the purpose described herein and may not be disclosed to any third party or used to create any software which is substantially similar to the expression of the Limo Anywhere Software or is otherwise in contravention of this License Agreement. With respect to the API Information, You agree that You will treat the API Information with the same degree of care as You accord to Your own confidential information which You exercise reasonable care to protect. Your obligations under this section with respect to the API Information shall terminate when You can document that (i) it was in the public domain at or subsequent to the time it was communicated to You by Limo Anywhere through no fault of yours, (ii) it was developed by Your employees or agents independently of and without reference to any information communicated to You by Limo Anywhere; or (iii) the communication was in response to a valid order by a court or other governmental body, was otherwise required by law, or was necessary to establish the rights of either party under this Agreement. You agree to protect the copyright and other ownership interests of Limo Anywhere with respect to all items in this API. You agree that all copies of items in this API reproduced for any reason by You will contain the same copyright, trademark, and other proprietary notices as appropriate and appear on or in the master items delivered by Limo Anywhere in this API. Limo Anywhere and/or its suppliers retain title and ownership of the items in this API, the media on which it is recorded, and all subsequent copies, regardless of the form or media in or on which the original and other copies may exist. Except as stated herein, this Agreement does not grant You any rights to patents, copyrights, trade secrets, trademarks, or any other rights in respect to the items in this API. This License Agreement is effective until terminated. Limo Anywhere has the right to terminate Your License immediately if You fail to comply with any term of this Agreement. Upon any such termination, You must return all full and partial copies of the items in this API immediately to Limo Anywhere. Limo Anywhere licenses the API, documentation, and related items to Developer only on an “AS IS” basis. With respect to the all elements of the API, including the API Information, documentation, and all other items used in the development of Developer Programs, Limo Anywhere makes no representation as to their adequacy for any particular purpose or to produce any particular result. Limo Anyhwere shall not be liable for loss or damage arising out of this Agreement or from the distribution or use of Developer Programs. LIMO ANYWHERE AND ITS SUPPLIERS DO NOT AND CANNOT WARRANT THE PERFORMANCE OR RESULTS YOU MAY OBTAIN BY USING THE PACKAGE, EXCEPT FOR ANY WARRANTY, CONDITION, REPRESENTATION OR TERM TO THE EXTENT TO WHICH THE SAME CANNOT OR MAY NOT BE EXCLUDED OR LIMITED BY LAW APPLICABLE TO YOU IN YOUR JURISDICTION, LIMO ANYWHERE AND ITS SUPPLIERS MAKE NO WARRANTIES, CONDITIONS, REPRESENTATIONS OR TERMS, EXPRESS OR IMPLIED, WHETHER BY STATUTE, COMMON LAW, CUSTOM, USAGE OR OTHERWISE AS TO ANY OTHER MATTERS, INCLUDING BUT NOT LIMITED TO NON-INFRINGEMENT OF THIRD PARTY RIGHTS, INTEGRATION, SATISFACTORY QUALITY OR FITNESS FOR ANY PARTICULAR PURPOSE. The provisions of this section 7 shall survive the termination of this Agreement, howsoever caused, but this shall not imply or create any continued right to Use the API after termination of this Agreement. Some states or provinces do not allow the exclusion of implied warranties so the above limitations may not apply to You. You may have rights which vary from jurisdiction to jurisdiction. For further warranty information, You may contact the Limo Anywhere at the address provided above. IN NO EVENT WILL LIMO ANYWHERE OR ITS SUPPLIERS BE LIABLE TO YOU FOR ANY DAMAGES, CLAIMS OR COSTS WHATSOEVER OR ANY CONSEQUENTIAL, INDIRECT, INCIDENTAL DAMAGES, OR ANY LOST PROFITS OR LOST SAVINGS, EVEN IF AN LIMO ANYWHERE REPRESENTATIVE HAS BEEN ADVISED OF THE POSSIBILITY OF SUCH LOSS, DAMAGES, CLAIMS OR COSTS OR FOR ANY CLAIM BY ANY THIRD PARTY. THE FOREGOING LIMITATIONS AND EXCLUSIONS APPLY TO THE EXTENT PERMITTED BY APPLICABLE LAW IN YOUR JURISDICTION. LIMO ANYWHERE’S AGGREGATE LIABILITY AND THAT OF ITS SUPPLIERS UNDER OR IN CONNECTION WITH THIS AGREEMENT SHALL BE LIMITED TO THE AMOUNT PAID FOR THE API, IF ANY. Some states do not allow the exclusion or limitation of incidental, consequential, or special damages, so the above limitation or exclusion may not apply to You. Developer represents, to the best of its knowledge and belief, that its Developer Programs do not directly or indirectly infringe the legal rights of a third party. Developer further represents and warrants that all information provided by Developer in connection with its use of the API is accurate and reliable. Developer acknowledges and agrees that, in the course of using the API to create Developer Programs, Developer may receive or have access to information that identifies or can be used to identify an individual or can be used to authenticate an individual. Developer shall comply with the terms and conditions set forth in this Agreement in its collection, receipt, transmission, storage, disposal, use and disclosure of such personal information and be responsible for the unauthorized collection, receipt, transmission, access, storage, disposal, use and disclosure of such personal information under its control or in its possession by any person. Developer agrees to indemnify, hold harmless, and defend Limo Anywhere from and against any claims or lawsuits, including attorneys’ reasonable fees, that arise or result from the use or distribution of Developer Programs containing the API or any API Information, provided that Limo Anywhere gives Developer prompt written notice of any such claim, tenders to Developer the defense or settlement of such a claim at Developer’s expense, and cooperates with Developer, at Developer’s expense, in defending or settling such claim. You agree that any Developer Program that includes modified code from the API or API Information (i) will include in its license agreement a reference to applicable U.S. Government regulations which control licensing of software and (ii) will not be shipped, transferred, or exported into any country or used in any manner prohibited by the United States Export Administration Act or any other export laws, restrictions or regulations (collectively the “Export Laws”). In addition, if any part of the API is identified as export controlled items under the Export Laws, you represent and warrant that you are not a citizen, or otherwise located within, an embargoed nation (including without limitation Iran, Iraq, Syria, Sudan, Libya, Cuba, North Korea, and Serbia) and that you are not otherwise prohibited under the Export Laws from receiving the Software. All rights to use the API are granted on condition that such rights are forfeited if you fail to comply with the terms of this Agreement. This agreement will be governed by and construed in accordance with the substantive laws in force in: (a) the State of Texas. The courts of Dallas County, Texas shall have jurisdiction over all disputes relating to this agreement. This agreement will not be governed by the conflict of law rules of any jurisdiction or the United Nations Convention on Contracts for the International Sale of Goods, the application of which is expressly excluded. You may not assign Your rights or obligations granted under this Agreement without the prior written consent of Limo Anywhere. None of the provisions of this Agreement shall be deemed to have been waived by any act or acquiescence on the part of Limo Anywhere, its agents, or employees, but only by an instrument in writing signed by an authorized signatory of Limo Anywhere. It is expressly agreed that a breach of Sections 3 or 4 of this Agreement may cause irreparable harm to Limo Anywhere and that a remedy at law may be inadequate, therefore, in addition to any and all remedies available at law, Limo Anywhere will be entitled to seek an injunction or other equitable remedies in all legal proceedings in the event of any threatened or actual violation thereof. When conflicting language exists between this License Agreement and any other agreement included in this API, this Agreement shall supersede. If either Limo Anywhere or Developer employs attorneys to enforce any rights arising out of or relating to this Agreement, the prevailing party shall be entitled to recover reasonable attorneys’ fees. You acknowledge that You have read this Agreement, understand it, and that it is the complete and exclusive statement of Your agreement with Limo Anywhere which supersedes any prior agreement, oral or written, between Limo Anywhere and You with respect to the licensing to You of this API. No variation of the terms of this Agreement will be enforceable against Limo Anywhere unless Limo Anywhere gives its express consent, in writing and signed by an authorized signatory ofÂ Limo Anywhere. Limo Anywhere and the Limo Anywhere logo are either trademarks or registered trademarks of Limo Anywhere, Inc. in the United States and/or other countries.